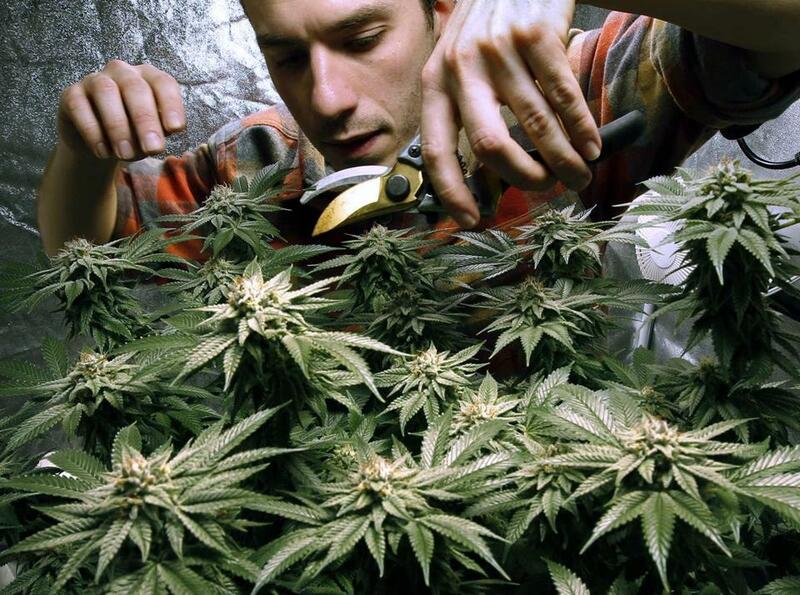 A bipartisan bill in New Hampshire’s Legislature would legalize, tax, and regulate pot sales. CONCORD, N.H. — One by one, they stood before New Hampshire lawmakers Tuesday and held up the state’s opioid epidemic as a chief reason why, or why not, to legalize marijuana. Over four hours, dozens implored the House of Representatives’ public safety committee to either join, or stand apart from, the state’s neighbors on all sides — Massachusetts, Maine, Vermont, and Canada — which have legalized pot. The bipartisan bill, sponsored by Democratic state Representative Renny Cushing and cosponsored by 11 others in the House and Senate, would legalize, tax, and regulate pot sales. Currently, possession of marijuana up to three-quarters of an ounce is decriminalized. About 68 percent of the state wants cannabis legalized, a 2017 University of New Hampshire poll found. In the state that ranks second in the country for opioid overdose deaths, concerns about worsening that crisis repeatedly emerged on both sides of the debate. The bill’s chance of ultimately becoming law remains unclear. Governor Chris Sununu, a Republican, has vowed to campaign against it in the Democrat-controlled Legislature and if it passes, veto it. To override a veto, both the House and the Senate would need a two-thirds majority. Sununu has also cited the state’s opioid crisis as a reason for his opposition. The House has the votes to override a veto, House Speaker Steve Shurtleff has previously told The Boston Globe. But the Senate vote will be closer. State Senator Harold French, a Republican who attended Tuesday’s hearing, said he’s undecided. His main concerns: getting the tax rate right, protecting the power grid and environment in the growing process, and ensuring that New Hampshire residents can start businesses or get jobs in the industry. Cushing has said a conservative estimate of revenues is $33 million a year. Many marijuana advocates at Tuesday’s hearing said they feel like the state’s “Live Free or Die” motto doesn’t reflect their reality. Jim Karwocki, a recovering alcoholic and medical marijuana patient, received applause from the crowd when he listed the number of deaths from alcohol, tobacco, and opioids that the country sees. Research has shown a correlation between marijuana legalization and a reduction of opioid use. Two papers published in April in the Journal of the American Medical Association analyzed more than five years of federal prescription data and found that states that legalized marijuana saw drops in daily opioid doses and prescriptions. In 2014, a JAMA paper reported that states with medical marijuana had nearly 25 percent fewer opioid overdose deaths. New Hampshire began opening medical dispensaries in 2016, and the state’s medical cannabis program has about 7,120 patients enrolled. Dr. Gilbert Fanciullo, an anesthesiologist and professor at Dartmouth College’s School of Medicine, said that while more research is needed, in his view, cannabis has been proven essentially safe over years of widespread consumption. But others pointed to studies that they said showed the danger of pot. Bedford police Chief John Bryfonski cited a 2017 American Journal of Psychiatry study that found marijuana users may be more likely than nonusers to misuse prescription opioids. Dr. Marie-Elizabeth Ramas, a family physician representing the New Hampshire Academy of Family Physicians, warned about the impact of marijuana use on babies born to mothers who consumed cannabis while pregnant. “Is the tax revenue benefit enough of a reason to risk health and longevity for our future?” Ramas said. The committee will vote on the bill in upcoming weeks before it goes before the full House.